But back in those days no one talked about homosexuality. Hell, we didn’t even talk about heterosexuality except in hushed tones, lest we be embarrassed if someone overheard us. The terms “gay,” “lesbian,” “transgender,” and “bisexual” were not even in our vocabulary. Many years ago a younger cousin I was close with hung himself at the age of 15. He was a kind, wise, and intelligent kid—mature beyond his years. He was a loner, as I also was—so we naturally gravitated to each other, even though I was ten years older. I suspected the reason for his suicide, but I was never sure. What I am sure of is this: his death had a devastating effect on his immediate family, and also on the rest of our large Italian family. We’d never had a suicide in the family, and this was simply unfathomable. So I completely understand, and empathize with, families dealing with these issues today. Here are some thoughts Spirit gave us a while back. This is a powerfully moving video of a young man who is, surprisingly, a politician—and an enlightened one at that. It’s a bit longer than I like to use, but I think you’ll find it’s time well spent. Do You Think Homosexuality Is Unnatural—or Wrong? What are your views of homosexuality—and of the community of LGBTs (lesbian, gay, bisexual, transgender)? Please share your thoughts and comments with us below. There is nothing wrong with any relationship, as long as both (or all) parties give full consent. In short. God loves all his children. Five words that say it all. Thanks very much, Hans! Those 5 words certainly do say it all! As an astrologer I see both masculine and feminine-type traits in a birth chart. We all have Mars and Venus in our charts so there is no difference what gender we currently are. In other lives we have experienced both genders and choose the particular gender in this one depending on what we want to explore and which one will suit that purpose. As you say it is only when the duality becomes polarized that we can become unbalanced which brings its own stress. Some aspects of sexuality, mostly preferences, are now often spoken about. However there is much more to that subject than meets our eyes and they are not spoken about, are still taboo. There is a reason for example that half the relationships in America break up with time. I suspect that the main reason has to do with poor sexual understanding and poor emotional understanding. Children are from the beginning taught that their parents do not engage in this behaviour. In my youth the subject was ” dirty”. My guess is that this was a product of religious teachings. Our city was 99% Catholic. Of course we knew that priests did not marry. They were seen as people who were beyond such degeneration. What I remember noticing from the start was the difference between what we were told was bad and the amount of laughter exhibited by the adults when discussing that subject. Later when I discovered that my father was not beyond having ” affairs”, I lost all respect for him and whatever love may have existed by pure chance. When I look back what I honestly feel is that I did not feel much love for anyone including myself with a few possible exceptions and that was kind of bashed out of me in time. This habit still exists regarding my emotions, my feelings for immediate family. I have a much better batting average with the stranger on the street but I still miss the ball regarding their children after being with them for a few hours. I think this probably is a result of improper education and I don’t think I am alone there. This tendency has also likely generalized to other subjects. Yet I am not quite a loner. I do very well with one on one until they attempt to push me into a square hole. So my guess (again) is that it has to do with intimacy. Could this be the key? Thanks very much, Ron. I too was raised Catholic — so I can identify with what you say. A slight edit to my comment. I used the word ‘ discussed ‘ Actually it should have read more like ” when the adults were speaking or joking” as if the children could not eavesdrop. I think you are absolutely right, Ron. It is about intimacy and trust. I too was brought up Catholic and as I grew and eavesdropped 🙂 I discovered that the levels of dishonesty and hypocrisy were astounding! Here’s to love, truth and trust! Just loved this video. Someone being so sincere on their reality. We all know the feeling. We all do. Feel hopeless and that’s what you get. Feel hopeful and that’s what you get. Whatever you place your attention on, that’s what returns. Don’t believe it, then it put it to the test. Try a simple test of thinking all gray sports car divers are maniacs. Just o it for a couple of days and all gray sports car drivers will be. People beware. It’s you’re beliefs that are the issue. Make some small changes and see what reveals itself. I loved the video too — he’s a remarkable young man, and we need more folks like him. As you say, Terri, our predominant thoughts do indeed become our realities. Very touching video. Thank you, John. I read one time that the gays and lesbians are forerunners to when, in higher dimensions, we will all be androgynous. Hopefully, we can learn to live and let live. I agree, the bullying has got to stop. There are many others besides gays who get bullied. School can be the most miserable of places for some kids. I am a former junior high teacher. I feel the adults in the schools have a big impact on what goes on and that they need to do everything they can to create an atmosphere so that the schools are a safe place to learn. You’re most welcome, Gail. I agree — it is a touching video, especially in its stark honesty. My spirit guides have often said we all have male and female aspects — and there is no gender in the realms of spirit. Even though it was many years ago that I was in school, I clearly remember the bullying that went on, even way back then. Excellent! This cuts very close to home for me. I just wish there were a way for people to live their non-mainstream choices in a quiet, private way. I am no more comfortable with people who announce their sexuality to the world (which I think is a private activity), than with people who announce their religious affiliation or political persuasions. 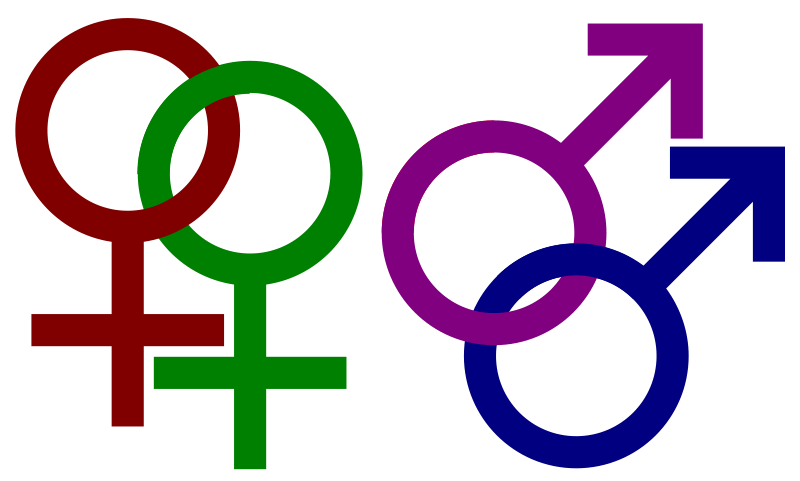 I once heard or read — I think channeled—that human genetics are gradually moving toward a blending of the male and female hormonal balance, and that is why we are seeing so much more evidence of sexual variations. I also believe we’re heading for a blending of the male and female. After all, we have both aspects within us, with one generally being dominant. It’s a fascinating time we live in!